In an America wracked by crime and overcrowded prisons, the government has sanctioned an annual 12-hour period in which any and all criminal activity-including murder-becomes legal. The police can’t be called. Hospitals suspend help. It’s one night when the citizenry regulates itself without thought of punishment. On this night plagued by violence and an epidemic of crime, one family wrestles with the decision of who they will become when a stranger comes knocking. When an intruder breaks into James Sandin’s gated community during t he yearly lockdown, he begins a sequence of events that threatens to tear a family apart. Now, it is up to James, his wife, Mary, and their kids to make it through the night without turning into the monsters from whom they hide. The concept is brilliant. The effect totally failed. I expected much more from this film, but against all odds, it was just a flabby fuss about nothing. You can hardly call it a thriller as I wasn’t biting my nails because of any tense moments. It wasn’t horror either, not even by a long shot. Someone putting on a clown mask doesn’t make it necessarily a horror film. And beats me where the SF part is. I can only agree that it’s totally predictable . The moment the neighbours came over to bring the cookies and you saw the jealousy dripping from them, I knew enough. 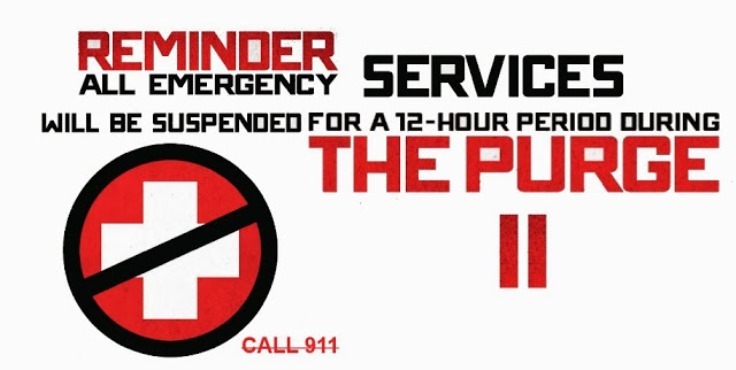 I don’t think the idea of “The Purge” is really feasible. Any decent citizen would take the opportunity with both hands to deal with his annoying neighbor, boss or annoying cackling wife. I would try it anyway. A concept like in “Escape from New York” would work better. All criminals isolated on an island. The overall story is completely incoherent and some facts bothered me immensely. 1. I suppose a sophisticated security system like this could identify any intruder when activated. In that way the boyfriend would be discovered easily. 2. I would definitely keep the deactivation code for myself and an option to set a timer so it will automatically be deactivated after 12 hours. 3. Big annoyance about the performances of the unworldly young son and teenage daughter who suddenly disappears halfway the movie. 4. The nerd of a father who emerges as a murderous guy. The only positive thing here was the appearance of Rhys Wakefield. 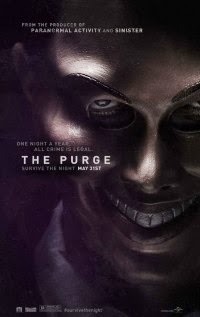 Very convincing as a normal but schizophrenic college student who, along with other school friends, has some fun once a year during the Purge. Indeed it could have been better ….